Bud Wiser's Black Hat Reviews: Is WordPress a good choice for SEO? Is WordPress a good choice for SEO? Powering over 30% of all the websites existing over the Internet, WordPress has certainly come a long way since its release on 27 May 2003, by Matt Mullenweg and Mike Little. It’s 2018 and WordPress remains to grow, steadily yet magnificently. Talking of the steady growth, the last decade has seen a surge in the importance that has been given to SEO. In order to make their business discoverable and in a pursuit to stay atop the search engine result pages (SERPs), individuals and brands are relying on SEO powered web-based website building platforms. WordPress is definitely one of their favorite choices. But the question is whether it is a good choice for accomplishing the SEO goals that you have been trying to achieve so let’s find out what WordPress has to offer. What makes WordPress a great choice for your SEO goals is its quick setup and configuration. Also, when you are logged in with your site’s dashboard and are actually filling in the SEO-powering fields of your posts’ editor, you can stay assured that things will not take a lot of time off your schedule. If you are new to blogging, you will definitely take your own time to get used to the several fields that prompt you to add the ‘Meta description’, ‘Tags and Categories’, ‘Meta Data’, ‘Keywords’, ‘Excerpt’ etc. Once you are there, optimizing will truly be a ‘snap-at-your finger’ thing. If you are able to save some time there, you will create much better content which is always a step forward in your content optimization journey. Otherwise known as permalinks, the chosen URL for your website posts is a crucial determinant of how search engines will perceive your content. If your URL carries the power keyword from your content, that is definitely an icing on the cake. With WordPress, you can either choose to go with the generated permalink that is based on ID number or you can create your own URL. Just before you publish your post through your WordPress editor, you can choose to customize the permalink as per the summary of the post. This is a great SEO booster as the visitors as well as the search engines will be better able to understand what to expect before they even start going through the content of the post. If you know someone who is a WordPress fanatic, we bet that you have heard them rambling about how awesome WordPress plugins are. In case of SEO, the development is similar. The Yoast SEO plugin and the All-in-One SEO Pack plugin are the undisputed market leaders when it comes to WordPress SEO. Their premium versions offer a set of even more powerful features than the free ones. Here are some of the amazing features offered by the free versions of each of them. Readability check and much more. Automatic META tags and a lot more. Another great thing about WordPress being an SEO facilitator is its generosity when you are using its powerful SEO plugins. If you are just a beginner, you can still nail it down all by yourself through directives and tutorials provided. You can review website builders offered by other platforms to make a comparative study of the complexity of the tasks involved. The very descriptive plugin functions help you figure out what goes where. If you bump up a rock, you can always head to the WordPress Codex to know more. To complement your SEO efforts through the dashboard, you need to make sure that you are marketing your website updates well and in a timely manner. This would involve sharing these updates through your social media channels so that your followers can stay in touch and have a nerve of whatever’s buzzing with your website and business. However, with the abundance of social channels, manual execution of these updates can take up a lot of time. Thanks to the other plugins from the WordPress repository that help you auto-share your site updates with the audience. 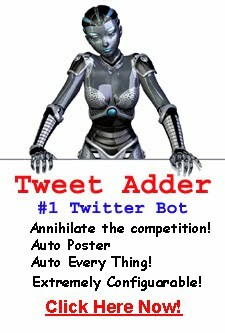 Social Auto Poster – Premium WordPress Plugin. If you are a website owner or a blogger, you know that search engines rank those websites well which turn around content speedily or in a regular manner. By saying so, we mean that a schedule posting mode is well-rewarded when it comparatively comes to other SEO efforts. WordPress has a simple yet powerful text editor that lets you create killer content which is engaging and informative at the same time. With Plugin such as the Editorial Calendar that let you schedule your content and its SEO strategy well in advance, we bet that the WordPress CMS will turn out to be a great choice for SEO of your website. The most important element of an optimized website is its loading speed. If a website takes more than 2-3 seconds to load, a high percentage of visitors tend to abandon the site right at that unfortunate moment. Even if you are doing everything as directed by your site’s SEO strategy and yet fail to take measures that make your website speedy, you are in for a huge loss. With WordPress speed optimization plugins, you can tuck away the worries. WordPress also lets you download and configure SEO-friendly themes that have been optimized for speed and performance. Check out some of the best SEO-friendly themes for 2018. With the pointers furnished in the blog post above, one can definitely arrive at the conclusion that WordPress is indeed a great choice for SEO. The way it has been developed and its open-source nature have helped the platform grow as a website builder for the SEO fanatics. Lucy is an experienced developer at WPCodingDev and a blogger by passion.